Dr. Stephen Prendiville specializes exclusively in Facial Plastic Surgery. He is the only fellowship trained and double board certified facial plastic surgeon in Fort Myers, and among the few in Southwest Florida. 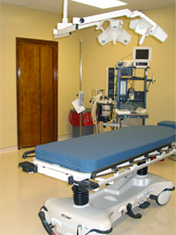 His practice offers the leading advances in the field of facial plastic surgery. Surgical procedures include facelifts, minimal incision facelifts, corrective facelifts, rhinoplasty, and eye, brow, and forehead lifts. Dr. Prendiville is widely recognized by patients and peers as a top doctor for facelifts and rhinoplasty. Our State of the Art Surgical Center is accredited by the AAAASF (American Association for Accreditation of Ambulatory Surgical Facilities) – The largest accrediting body for outpatient surgical facilities in the United States. We also offer an extensive range of skin rejuvenation procedures to address signs of aging and skin damage. Non-surgical techniques can have dramatic results, often with minimal to no downtime. 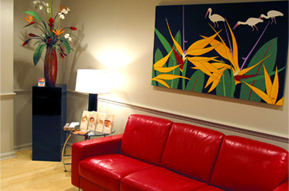 We strive to provide the highest level of patient satisfaction with attention to detail in all aspects of care. Our goals is to achieve optimal results through state of the art cosmetic and reconstructive plastic surgery techniques, delivered in a safe, caring and friendly environment. Our office staff makes your experience with us even easier. Our office staff coordinates your experience from your initial phone call to post operative visits in a friendly and helpful way. Our staff have a combined clinical experience of over 30 years and will make every effort to inform you, address your concerns about facial plastic surgery, and ensure that your experience is both successful and satisfying.